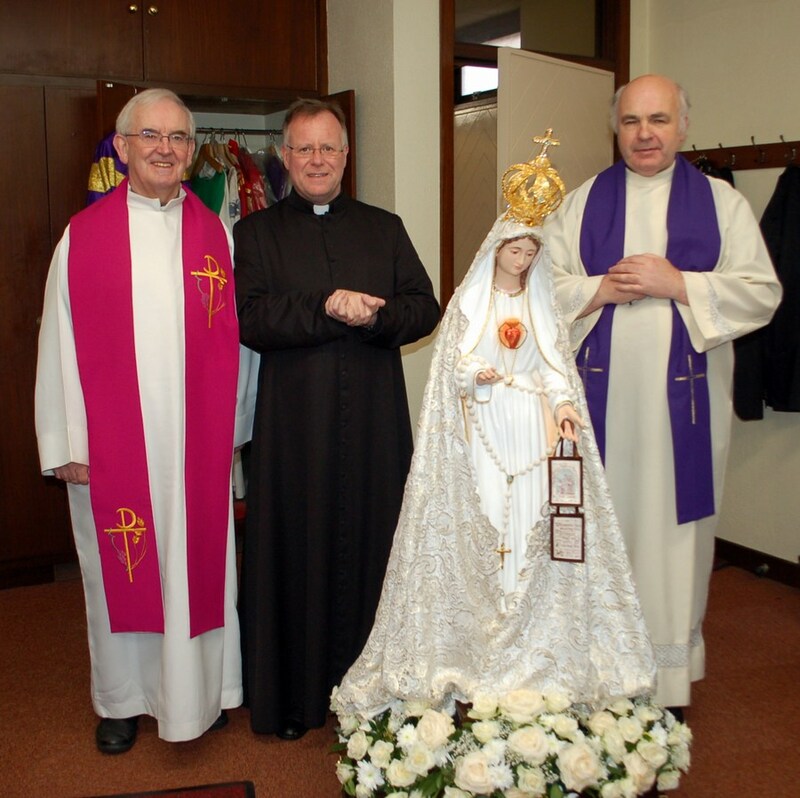 To mark the 100th Anniversary of Our Lady’s appearance in Fatima, Portugal, in 1917, Pope Francis has blessed 6 statues of Our Lady of Fatima, one for each continent, so that they would be sent into each of the 6 continents for public veneration and to stimulate devotion to Our Lady. 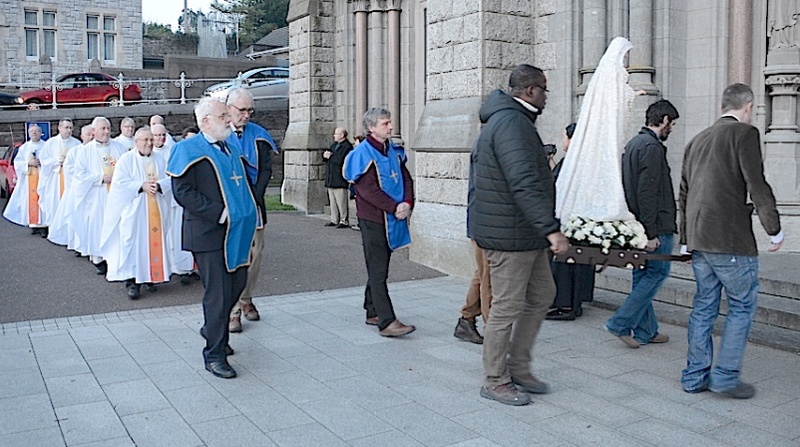 This statue (the one ascribed to Europe) has, since January, made its pilgrim way around Europe, visiting many cities and towns, cathedrals and churches, convents and monasteries, schools and universities – wherever the Mother of God is made welcome. 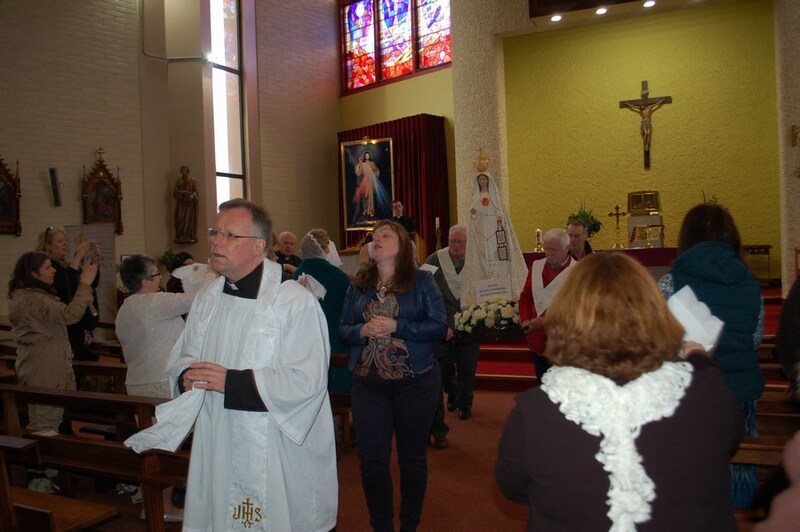 From Mar 27th – Mar 29th 2017 the statue has been visiting parishes (Cobh, Midleton, Youghal, Mitchelstown) in the Diocese of Cloyne. 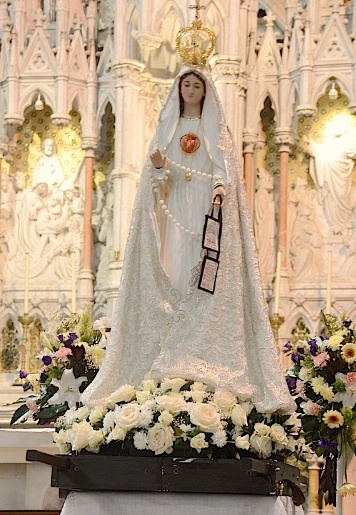 The mission of each statue of Our Lady of Fatima is to reawaken the Christian Faith in our land, to bring souls to Christ, in particular through recourse to the Immaculate Heart of Mary. 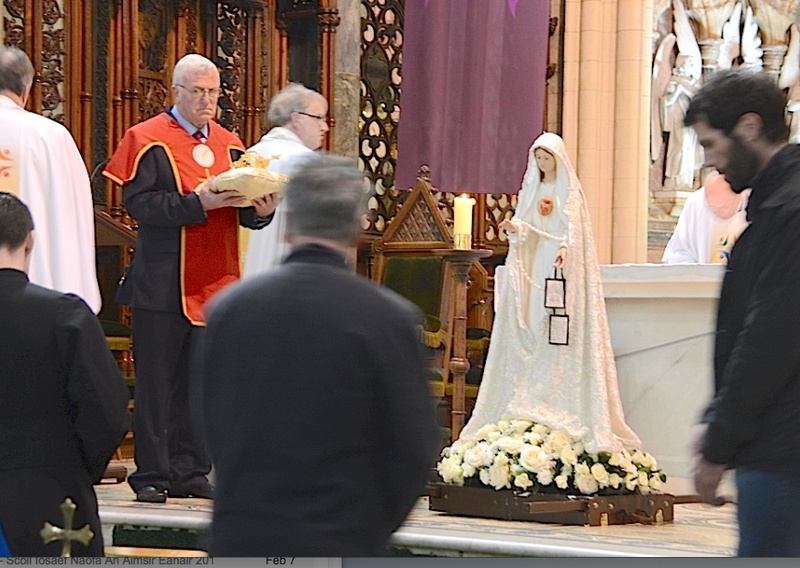 The Centennial Statue of Our Lady of Fatima in St Colman’s Cathedral Cobh, Mon 27th Mar 2017. 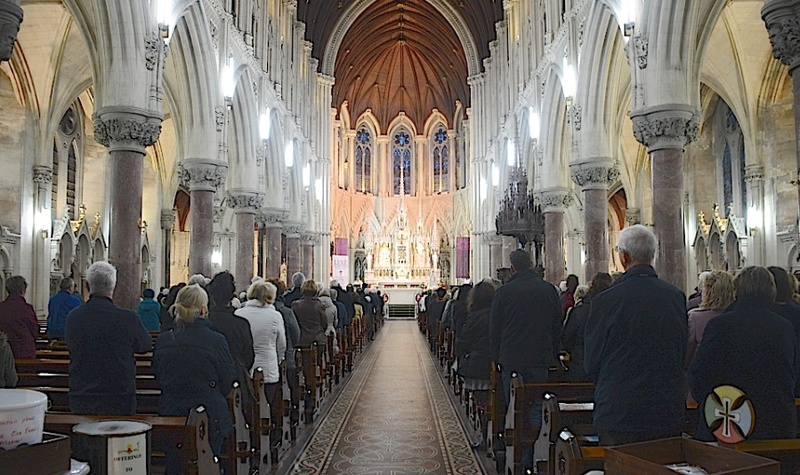 Bishop William Crean making introductory remarks. 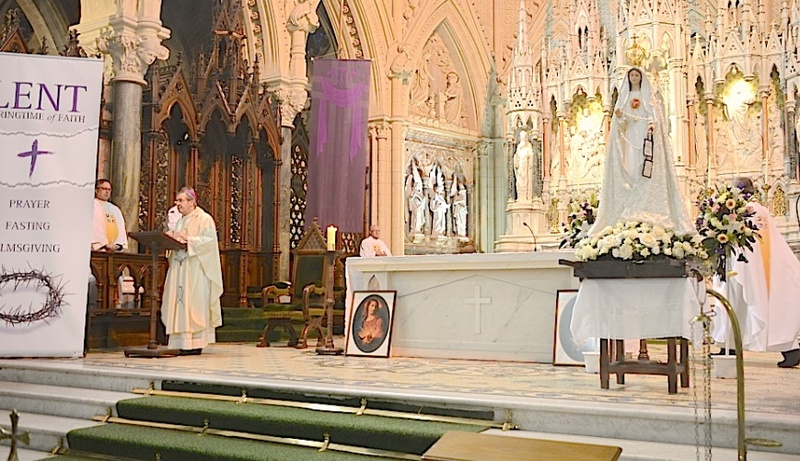 The Centennial Statue of Our Lady of Fatima in St Colman’s Cathedral Cobh, Mon 27th Mar 2017. 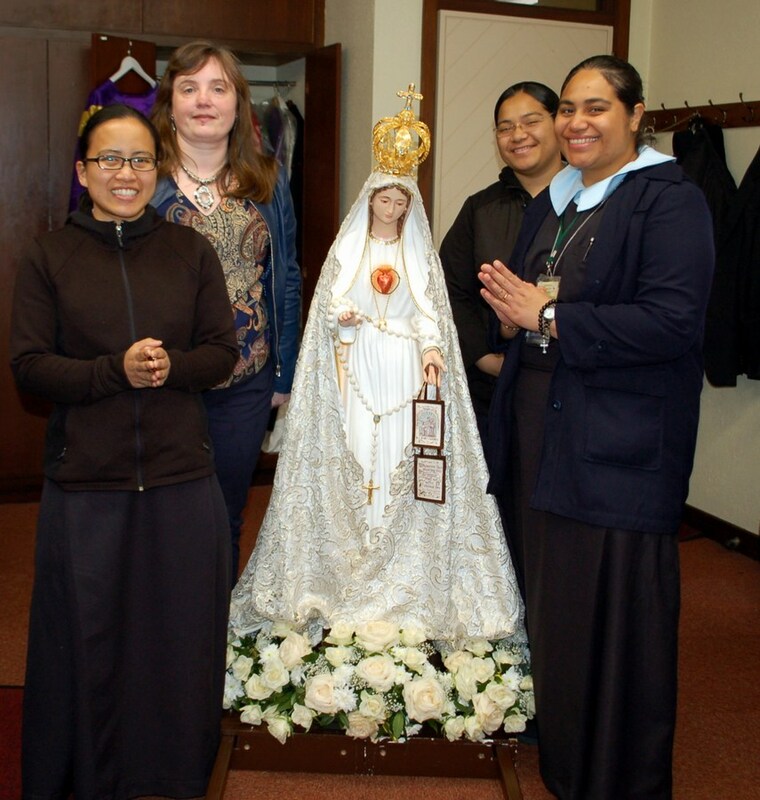 The team guarding and processing the statue. 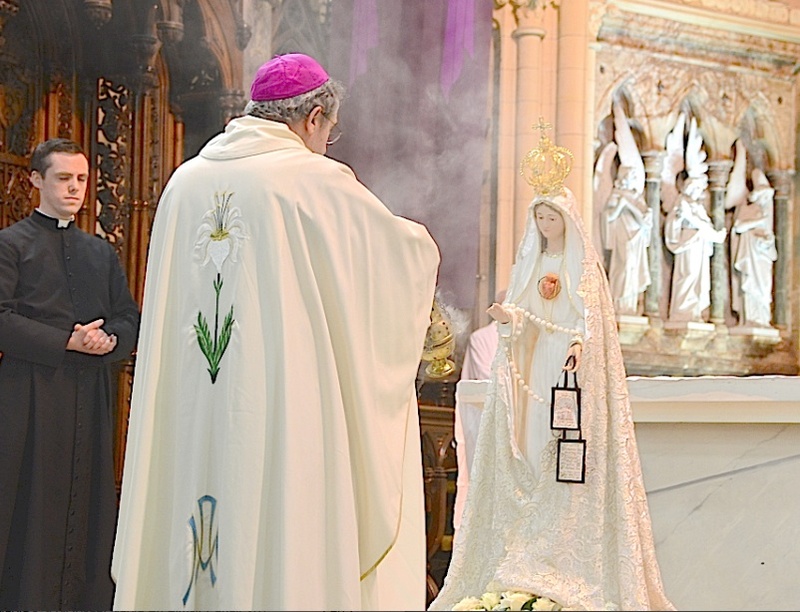 The Centennial Statue of Our Lady of Fatima in St Colman’s Cathedral Cobh, Mon 27th Mar 2017. 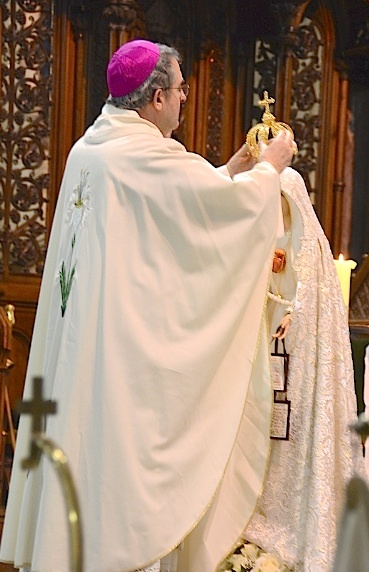 Bishop William Crean places a crown on the statue. 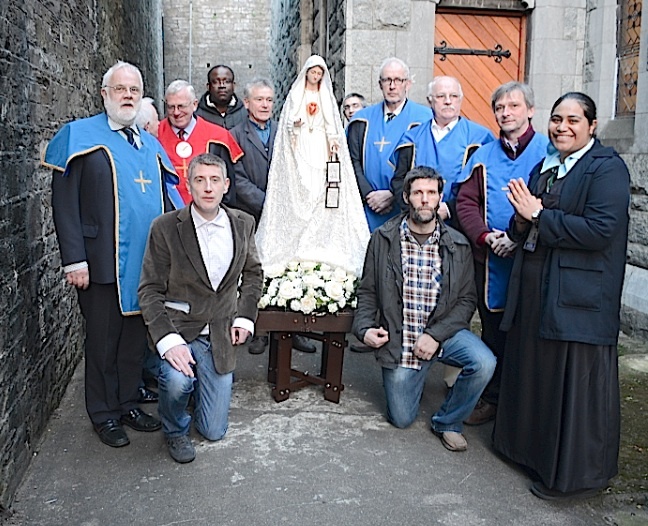 The Centennial Statue of Our Lady of Fatima in St Colman’s Cathedral Cobh, Mon 27th Mar 2017. 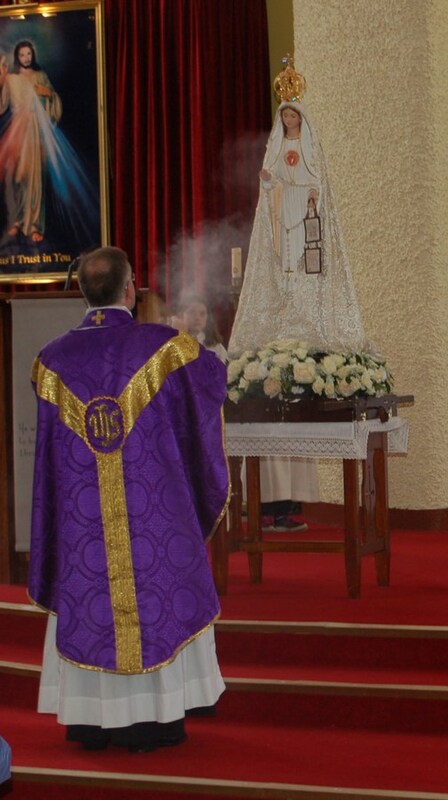 Bishop William Crean incensing the statue.